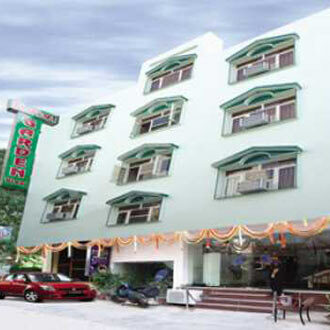 Suitably placed right in the middle of the commercial and shopping district of Karol Baugh, this budget hotel serves as a convenient stay for both business and holiday travelers. The wall located at the lobby area is decorated with timepieces that present world timings to its guests. There is an elevator facility that takes one to any of its 30 well-appointed, road-facing rooms. A 50 seater conference venue is also there to hold seminars and meetings.